[PIAS] Comedy has secured worldwide rights (excluding North America) to three Katt Williams DVD’s – ‘American Hustle’, ‘Pimp Chronicles Part 1’ and ‘It’s Pimpin’ Pimpin’. 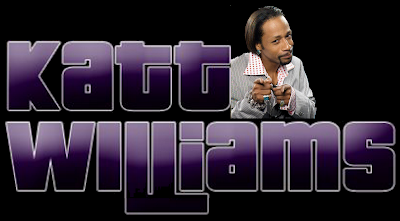 Katt Williams is a phenomenon. Having sold over 2 millions DVD’s and played arena shows all over the country only Jeff Dunham and Chris Rock are bigger comedians in the USA. In the UK he has grown a cult following through YouTube (with over 30 million views), import copies and word of mouth. His charm, hilariously foul mouth and lighting fast brain prove him to be the only real heir to Richard Pryor and one seriously funny mutha-f*cker.